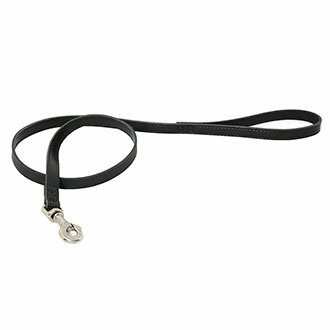 Black leather lead for dog. Riveted joint. Indeed dive. Buckles in chromed steel. Carabiner carbine. Full grain leather. Made in France.